Hospitality Design in Dubai involves the conceiving and designing the interiors of hospitality-oriented space. This may include anything from hotels and restaurants to resorts, spas, bars/ lounges, luxury cruises, yachts, and even retail stores. Like any other type of interiors design, hospitality design also involves new design and construction, as well as redesigning and renovation. The most important responsibility of a hospitality designer is to be able to create a cohesive atmosphere that stays true to the tone desired by the client, wherein the guests feel comfortable. A myriad of elements, most importantly lighting, color scheme, furniture and layout choices, play a crucial role in hospitality design. As is with home interior design, a hospitality designer should be abreast with the latest trends in the industry. Especially, trends like eco-friendly designs and construction techniques are ones that have caught on the world over. A good hospitality designer also needs to be experienced enough to be able to suggest choices to the client that adhere to the budget constraints. A client might want the space to have a very modern-functional-practical sort of a feel, while another might want it to have a cozy-intimate feel to it. The hospitality designer should be able to bring out these variances in tone in his ultimate design. He might choose a bright and vibrant color combination for the space to reflect modernity, and he might select a more muted and subtle color palette to exude a feel of warmth and comfort. 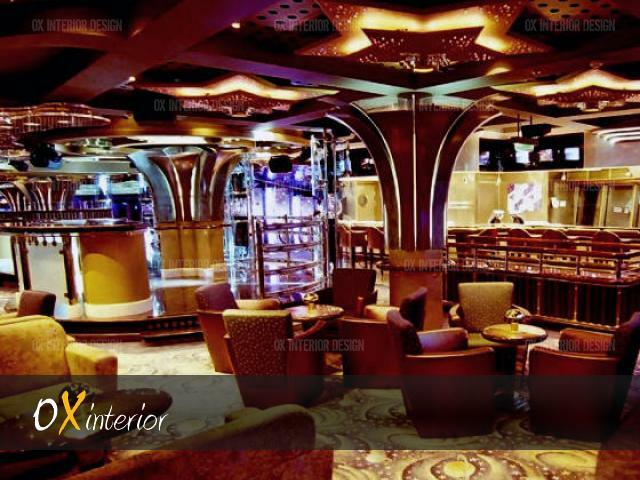 These nuances are of prime importance in the field of hospitality design. Lighting goes hand in hand with color palette, when it comes to setting a particular tone to the space. Experienced designers will have a acute sense of the kind of lighting to combine with a certain color scheme, so that it brings out a desired atmosphere. Not only is the type of lighting important, but so is the placement of the lighting. The floor and wall layout, and height of the roof are important elements that should dictate the choice of lighting. Even the furniture dictates the lighting choice significantly. If the furniture is of a Victorian feel, the lighting will have to be different from the lighting that is used with contemporary furniture. Other than lighting, furniture is a crucial element that a good designer will look into in order to bring alive the desired tone for the space. The choice of furniture has a direct bearing on the tone that the client desires. Furniture will be different for a decorative-flamboyant atmosphere, different for a functional-contemporary feel. Even the placement of the furniture will vary according to the tone- it may be scattered in a seemingly random way for an airy, free atmosphere, whereas it might be clustered together for a warm, homely feel. It takes a very experienced designer, who has great practical knowledge, to play with all of these elements to bring alive a coherent atmosphere that the client expects.